Chlorophyll, the green pigment found in almost all plants, algae and cyanobacteria is the vital pigment for photosynthesis. 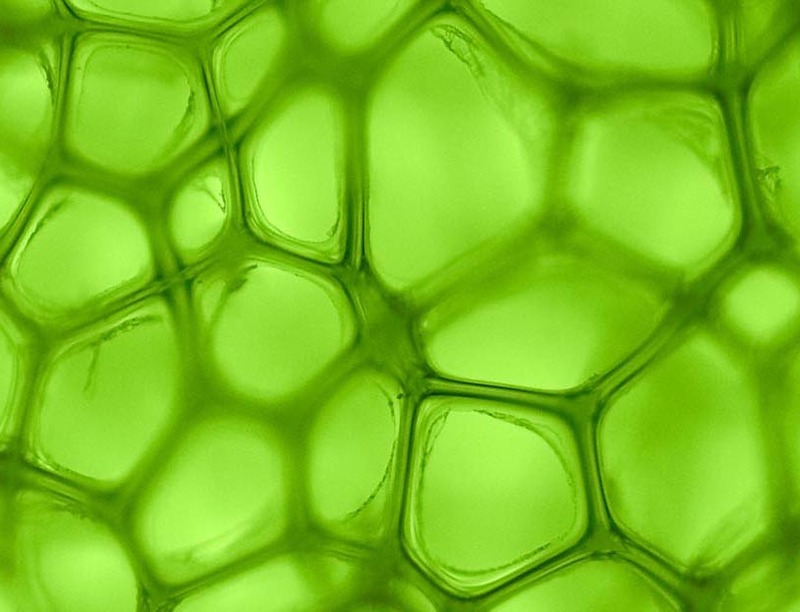 Chlorophyll molecules are arranged in and around the photosystems in the thylakoid membranes of chloroplasts. The function of chlorophyll in plants is to absorb sunlight, which is an essential requirement for plants to carry out photosynthesis. Interested in Importing Chlorophyll from a High Quality Indian Supplier? Chlorophyll itself is actually not a single molecule but a family of related molecules, designated chlorophyll a, b, c, and d. Chlorophyll a is the molecule found in all plant cells. Chlorophyll d is found only in marine red algae, but chlorophylls b and c are common in fresh water algae. Chlorophyll is present in all plants, most of the algae and cyanobacteria. Chlorophyll is abundant in leafy vegetables and generally to a lesser extent in fruits. For example in spinach, chlorophyll can be as high as 1% on a dry weight basis. Chlorophyll a, due to its stability properties, has been widely used as a coloring substance and is conventionally obtained from higher plants. Cleans Digestive Tract: Acts as a strong internal deodorizer for the entire digestive tract. Chlorophyll is mostly safe for people when taken through mouth. It should not be used by injection (intravenously) without the supervision of a medical professional. In some cases, adverse effects may be seen such as gastrointestinal or dermatologic problems. Common gastrointestinal problems include nausea, diarrhoea, green stools, and abdominal cramping. When taken by mouth, chlorophyll may cause green discoloration of the urine. Avoid in individuals with a known allergy or hypersensitivity to chlorophyll or any of its metabolites; contact may result in a photosensitive rash. Copper chlorophyll (E141) could be a pseudo allergen. Use cautiously in patients with compromised liver function (jaundice), diabetes, and those taking immunosuppressant agents. Chlorophyll is not recommended in pregnant or breastfeeding women due to a lack of available scientific evidence. Wheat grass, Barleygrass, Alfalfa, Sprillluna, Broken cell Chlorela, Green Tea extract , Spinach and Vegetable Powder.